ICH Blog: Old Time Music, Tea Buns and Hookers! Happy Easter, Newfoundland and Labrador! Old Time Music, Tea Buns and Hookers! Happy Easter, Newfoundland and Labrador! 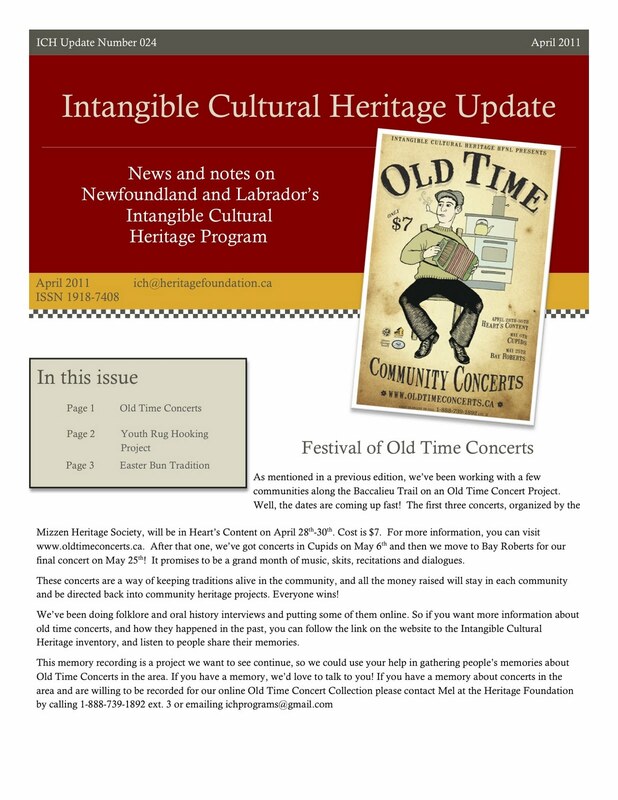 In this edition of Newfoundland and Labrador's ICH Update for April 2011, we announce the dates for the Old Time Community Concerts series in Heart's Content, Cupids and Bay Roberts; Melissa Squarey talks to Betty Rumbolt about the tradition of Easter tea buns in Upper Island Cove, and folklorist Sandra Wheeler introduces us to a group of young fabric artists working in the old tradition of rug hooking.